This is an exact replica of the factory original 1967 Ford Bronco, Econoline and Recreational Vehicle Shop Manual that was issued by Ford Motor Company for the 1967 model year. 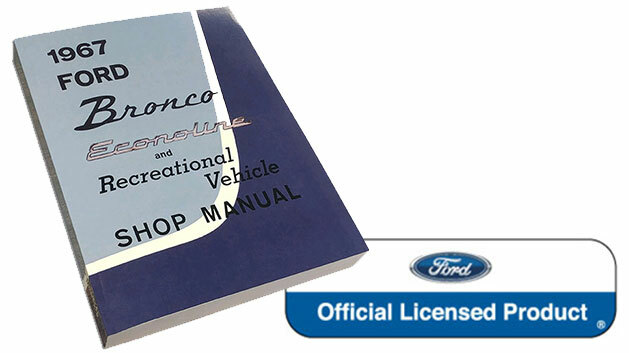 This shop manual contains a lot of great information for anyone who owns and works on their 1967 Ford Bronco. A great resource for do-it-yourself mechanics or for shops doing a lot of work on early Broncos. This factory correct reproduction is licensed by Ford Motor Company.